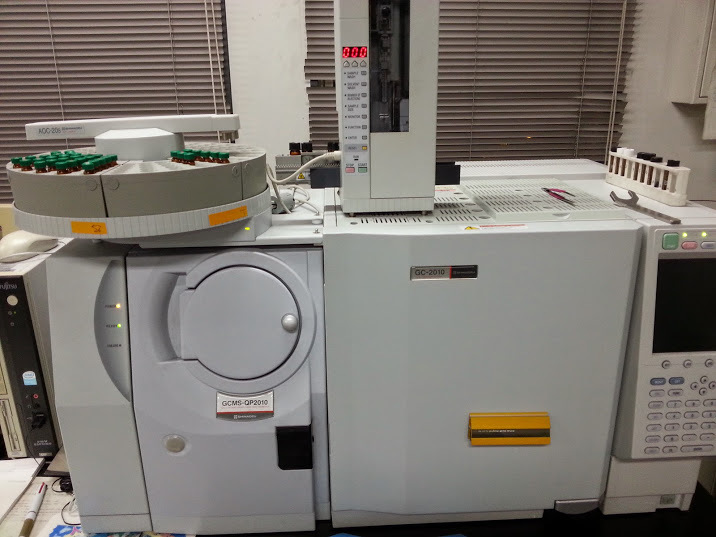 I have devoted much time to maintenance of GC-MS (Shimadzu, QP 2010) during these two weeks. 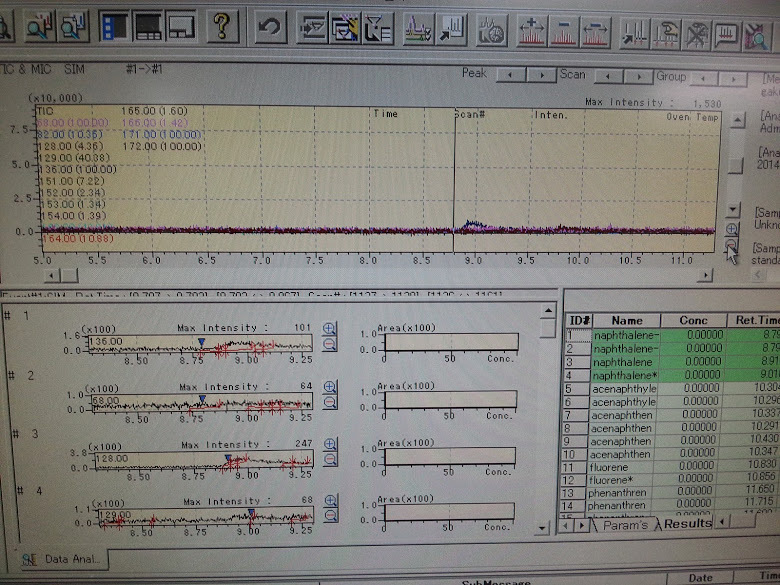 PAHs standard solution was injected to GC-MS.
A strange chromatogram was found as shown below. The intensity of baseline increased with increasing retention time. 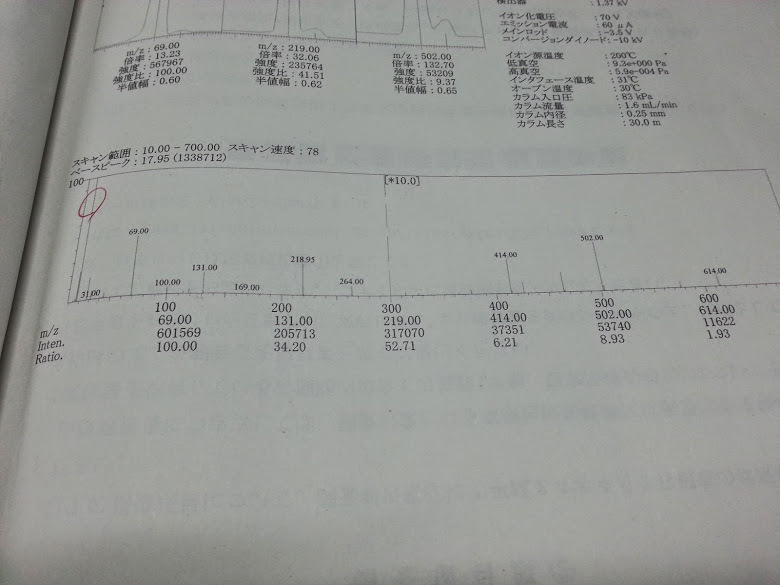 Capillary column (HP-5MS) was conditioned at 310 ℃. Then we tried to measure PAHs standard solution again, but no peak was found. Low peak intensity was maybe due to ion source pollution. I might have forgetten to close connecting tube (?) between GC and MS in conditioning column, thus pollutants may have flowed into MS part. So we cleaned ion source with acetone. Water peak (m/z=18) was extremely large in autotuning. We tried running GC in order to remove water in column. After that, air leaking problem was solved. 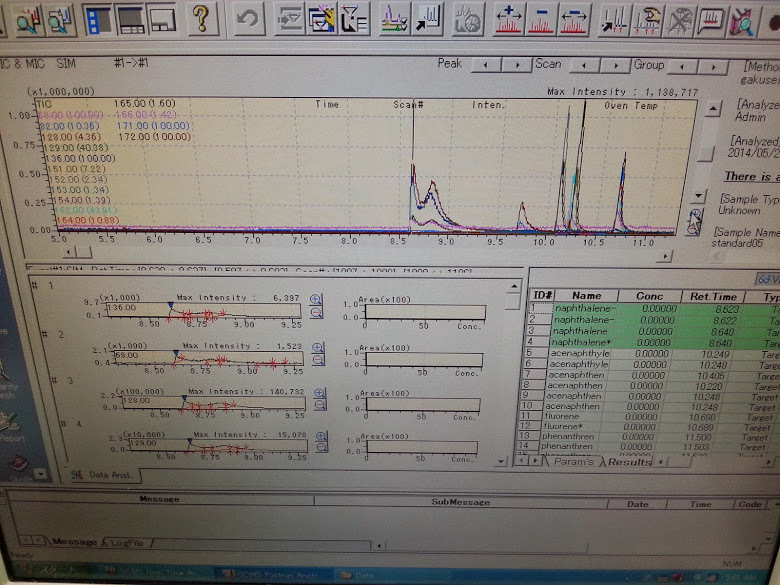 Finally we almost finished GC-MS maintenance!